A short description about the company “Bushiroad inc.” would help many anime and manga fans learn more about this company. 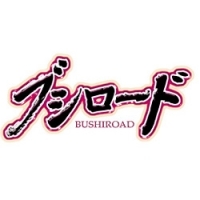 Do you know what “Bushiroad inc.” is all about? Then feel free to add a description to our database using our entry form. We’re looking forward to your contributions! TV-Series, 50 (2018)Cardfight!! Vanguard (2018)OLM, Inc.
TV-Series, 24 (2017)Cardfight!! Vanguard G ZBridge Inc.
TV-Series, 52 (2016)Cardfight!! Vanguard G: NextOLM, Inc.
TV-Series, 24 (2016)Cardfight!! Vanguard G: Stride GateTMS Entertainment Co., Ltd.
TV-Series, 51 (2016)Future Card Buddyfight Triple DXEBEC, OLM, Inc.
Manga, ? (2018)Shoujo Kageki Revue Starlight -The Live- Show Must Go OnBushiroad inc.
Manga, ? (2017)Hina Logi: From Luck & LogicBushiroad inc.
Manga, 2/5 (2015)Luck & Logic: Paradox TwinBushiroad inc.